Remote writing jobs are becoming more and more popular lately because more and more millennials are wanting to freelance instead of working full time. In your quest to find remote jobs, you might be confused or wondering if these are the same as freelance writing jobs? Yes and no. A remote job can be a freelance job or an employee job depending on how the company or employer set up the remote job role. Other terms you may find online are telecommute jobs, telework, remote or home-based work all for the same thing. So, writing jobs focus more on the company role than the job itself. For example, both Apple and Amazon offer remote jobs to their employees. In freelance writing jobs, the focus is that you are actively finding writing jobs. That’s why I have posts that give you 20 different ways to find a freelance writing job. If you’ve been searching online trying to find these positions and coming up dry, maybe focussing on the the type of writing can help you narrow down your search. 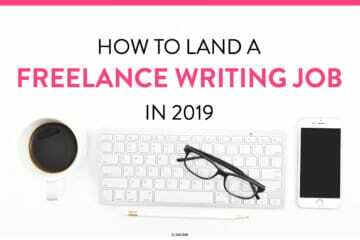 Let’s go over seven popular remote writing jobs for 2019! Do you have a knack for story-telling and highly engaging writing? On average, US remote copywriters earn around $72k/year. When I first started freelance writing, I read a lot of blog posts about copywriting and over time have learned how to write engaging copy to help with conversions. I do this on my blogs to help me make money with affiliate marketing and course sales and I do this for my clients to help them gain more leads. Many companies hire remote copywriters as a way to save them money and find new talent. As well, other bloggers or small businesses use copywriters to help them optimize their website for higher conversions. A remote content writer is also a blog writer. Many businesses and companies have a blog on their website. They use this content as a way to bring in more business. It’s the first step to their lead generation strategy. And these businesses hire out this type of writing to save money instead of hiring in-house. On average, US remote content writers earn around $45k/year. This average is based on production pay. This means, if you write more, you get paid more or if you increase your rates, you make more money writing. This is what I primarily do and focus on digital brands and write about digital marketing. These types of writing jobs are the best because they are recurring. This means every week or whatever time frame your client sets you submit your articles and get paid! While copywriting jobs may be higher-paying, they are usually one big project and once you are done, that’s it. You move on (unless you wowed your client and they want to work with you again). 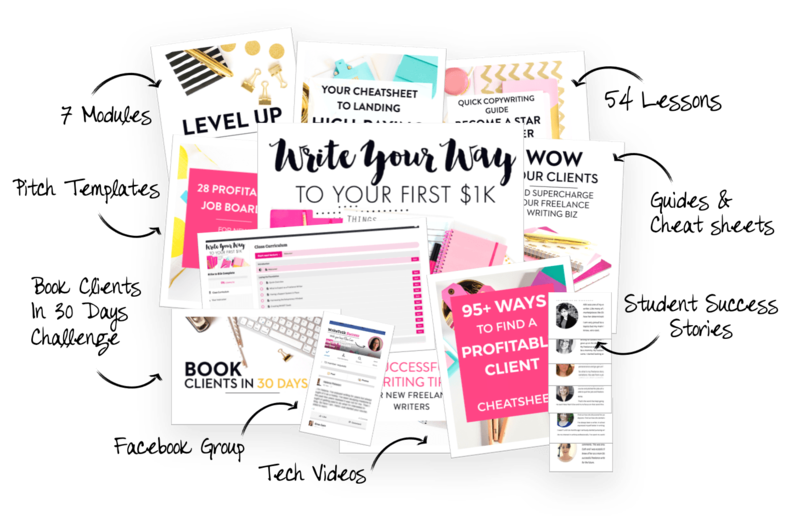 With a blog writing job though, you produce a post once a week and get paid every month. Many freelance writers have a retainer for this type of job as their version of a steady paycheck. A remote proofreader ensures the piece they are reviewing is free of grammatical errors, spelling errors, formatting and syntax errors. They don’t modify the piece and they only read it to catch any grammatical errors that weren’t seen during the editing process. You might be wondering if being a remote proofreader can make money when you have editing tools like Grammarly or you can get your family member to proofread your client’s post. It’s true there are a lot of tools you can use in place of a proofreader, but online businesses hire professionals for their important documents! You won’t have a problem making money as a proofreader. On average, US remote proofreaders earn around $35k/year. This pay is also based on production and rate. But, it’s a great supplement to your freelance writing and a way to diversify your income streams. Okay – what’s the difference between a remote proofreader and a remote editor? 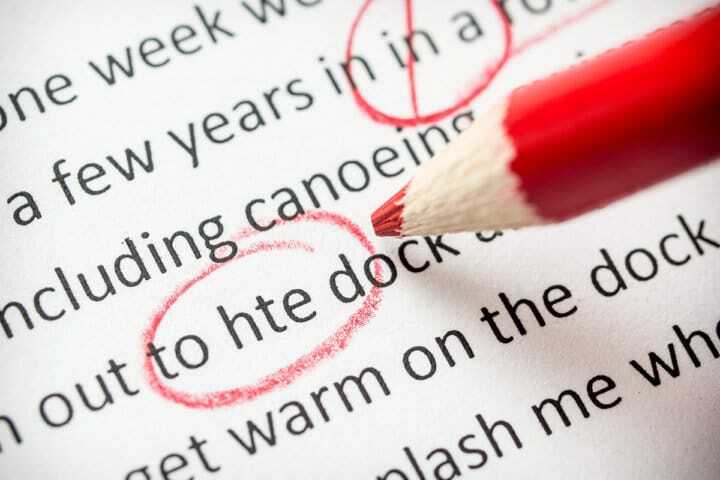 Editing writing jobs entail changes to the content piece – like fixing grammatical errors – and looking at the piece on a deeper level. They view the entire piece as a whole and see if it flows easily, if it is coherent and that the ideas are organized. Having this skill is easily transferable to freelance writing and to other writing jobs. On average, US remote copyeditors earn around $57k/year. Editors can base their rate hourly and the average editing rate is between $9/hour to $14/hour. Remote translators changes the written piece from one language to another language. Many foreign business want their content translated to English, so being fluent in English is important for a remote translator job. The main job of a translator is to convert the original content into the new language without removing the original concept idea. Flow is an important skill for a translator since the flow is different language to language. On average, US remote translators earn $46k/year. Breaking into this type of remote job may be difficult as many gigs want years of experience. So having a strong portfolio and perhaps working for free in exchange for a testimonial is a good starting point. Remote transcribing refers to converting speech to text. This is a popular service for businesses that provide legal or medical services. Transcription also is seen in the blogging world too. Many big bloggers use YouTube or Podcasts to help grow their brands. Many of them want to turn those videos or audios into written content. This would be an easy way to break into this type of writing job since you can reach out to bloggers that have a YouTube channel or Podcast and tell them your service! Been on Facebook lately and seen quizzes your friends took on your wall? You can be a remote quiz and test writer for businesses, blog owners, educational institutions and any business online. 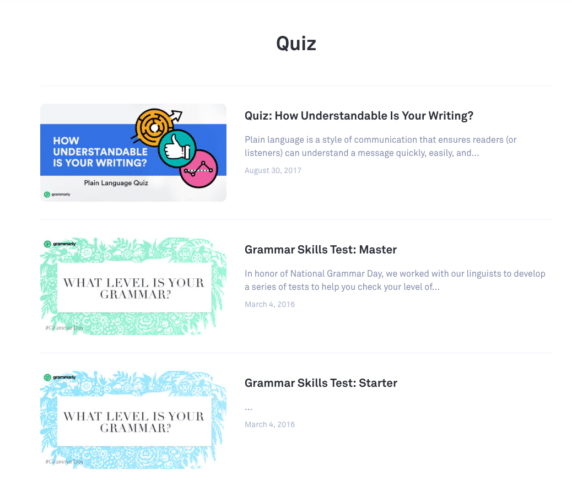 For example, Grammarly has quizzes to engage their users and grow their brand on social media. 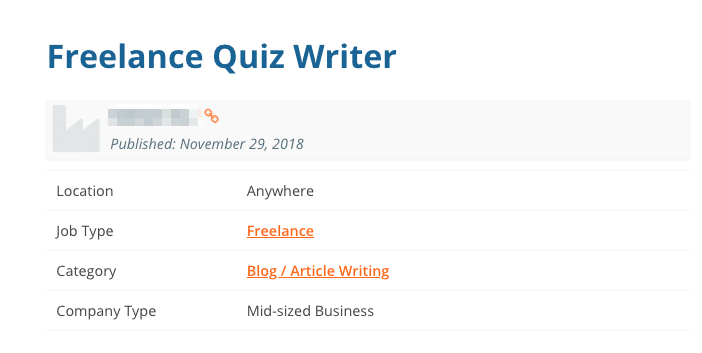 Check out this post on how to become a remote quiz writer if you’re interested in this side gig. On average, quiz and test writers can make up to $30 per question. As a new freelance writer, you can always go to the job boards where you find freelance writing jobs and search for quiz or test writer to see what comes up! Course writer is a hot freelance writing job for 2019 and it’s a great remote writing job too. Many businesses are using courses as another income stream for their businesses. One of my clients reached out to me to ask if I’d like to help write out course lessons for their new course. While I love creating courses, I enjoy smaller blog writing projects. But, if you have a knack to write course lessons on a specific subject, this can be a great gig to have. On average, US remote course writers can earn $60k/year. There are many places to find remote writing jobs online. From freelance writing job boards to employment sites and more. Here are the best places to find writing jobs. Ready to Get Paid for Your Writing in 2019? 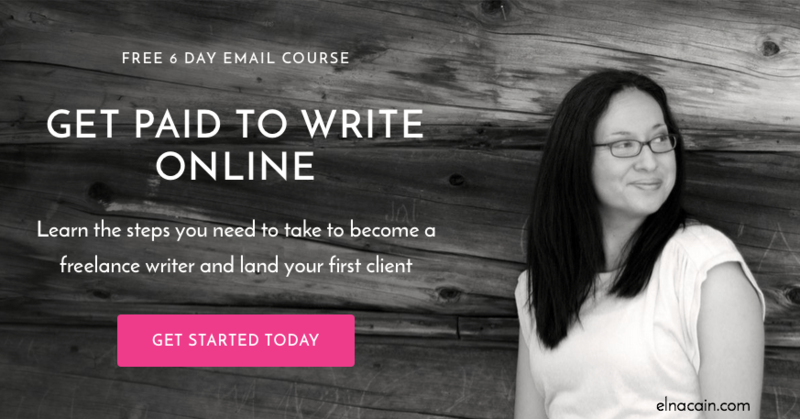 Now is the best time to monetize your love of writing. From editing gigs to transcription gigs and more, you can find a remote writing job that’s a fit for you. So, what are you waiting for? Become a writer today! Share in the comments what writing job you want to try! 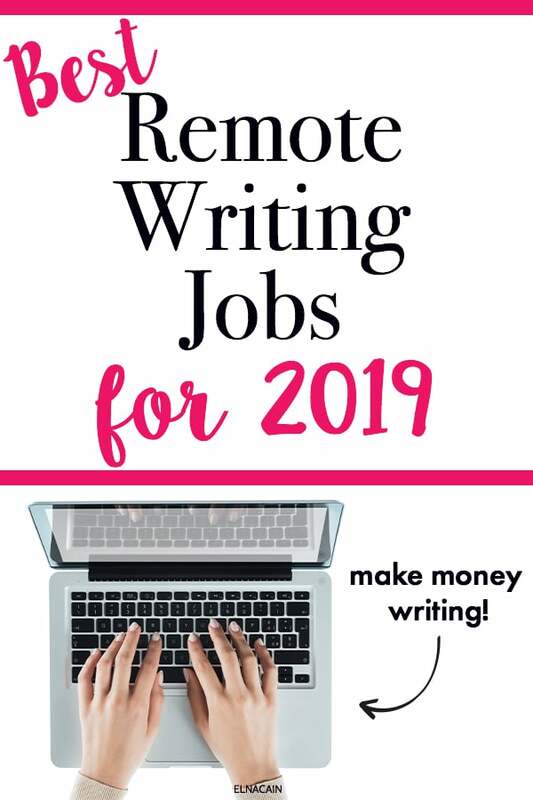 Because I understand remote writing jobs can be rewarding, I know my readers would like to be afforded the opportunity to find remote writing jobs online if they can. Thank you so much for sharing! You are truly amazing, Elna! That’s awesome! 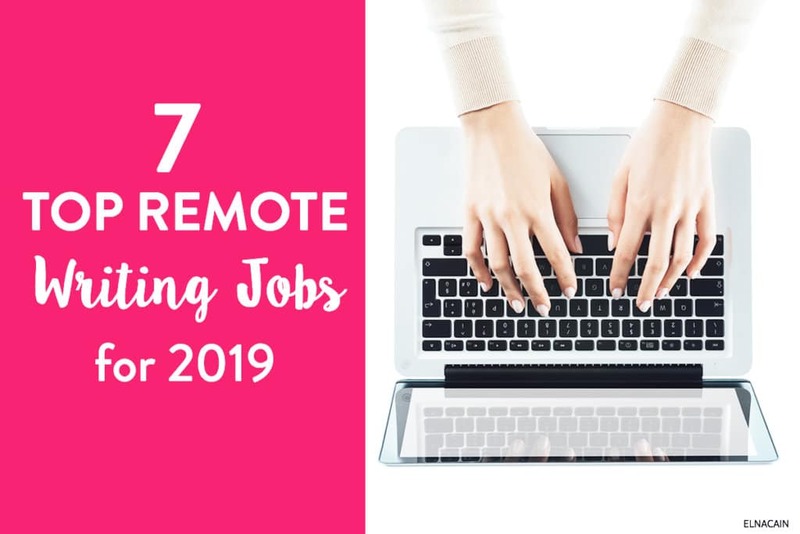 I hope your audience finds this post on top remote jobs for 2019 helpful! Hi Elna, just tried Glassdoor and it seems to have a lot of potential. Thanks for sharing! Nice! Yes, Glassdoor is a great freelance writing job board! Thanks for the great post. I had not heard of Quiz Writing before, sounds super fun. Thanks for stopping by! Yeah, I haven’t heard about these places myself either! It’s fun researching remote writing jobs for sure! How does this apply to Canadians? Can a similar list be used? Is this only for U.S. based people? I’m Canadian and it can still be applied. You would just convert US dollars to CDN! The job sites I mention at the end are applicable to anyone living anywhere. But if the job states only US writers, then you can’t apply to that remote writing job. The term “freelance writer” no longer cuts it. With the online publishing explosion, remote writers have to find a way to define their services in a way prospects can understand. I beg to differ. I feel freelance writer for hire is still a strong term that many businesses know more than a remote writer. But, it’s always a good idea to try different terms!